This is a selection of bird songs – quite an eclectic selection from Caspian Snowcock to Greater Hoopoe-Lark and from Marsh Sandpiper to Wood Warbler by way of Gyr Falcon, Western Olivaceous Warbler and Red-rumped Wheatear. This is the first time that The Sound Approach has produced recordings on vinyl. For young readers, vinyl is a plastic-like compound which can be moulded into a circular disc with a spiral groove – music can be coded into the groove by a series of bumps and depressions. 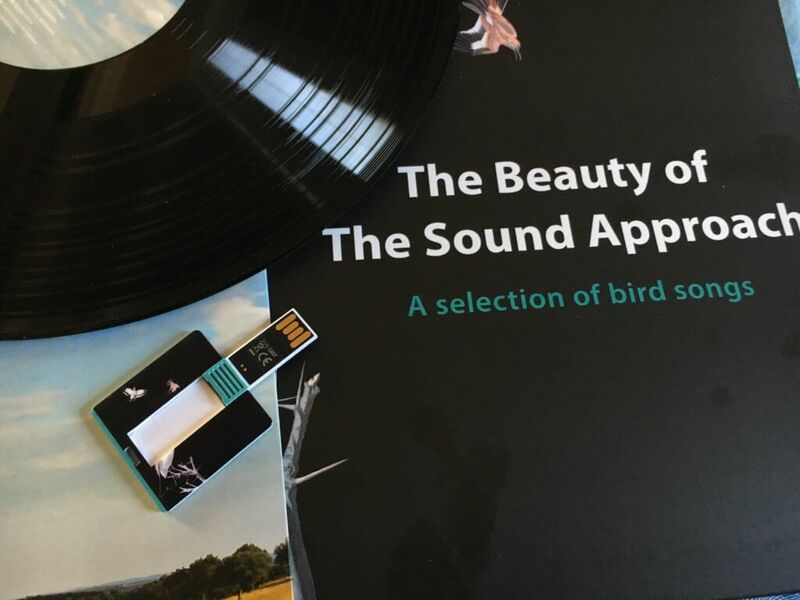 By placing a sensitive reader into the groove and spinning the disc so that the reader travels along the groove, noting the bumps and depressions that encode sounds, real music, or in this case bird songs, can emerge. It’s very clever, but it will never catch on, will it? Bird song is one of the joys of living on this planet, and although a wide range of animals produce cries, calls and songs it is those of birds that are the most accessible to us. This collection of previously unpublished bird songs provides a varied selection of bird songs from four continents. The tracks were chosen by Mark Constantine, they were recorded by Constantine and Magnus Robb; the cover illustration is by Killian Mullarney and inside the record sleeve there are more illustrations by Håken Delin. The sound quality is good and the artwork is as beautiful as the songs. The whole package has a feeling of quality and class. But I was a bit worried that I’d have to crawl around in my roof to discover a dusty record player and check whether it was still working until I realised that the songs, and another extra ration of them, and interviews by Charlie Moores with Constantine and Robb also come on a handy USB. What’s not to like about bird songs? This really is an interesting collection – I’ve heard fewer than half of these species and it’s a treat to have them all brought together here. And the interviews are quite interesting too.